October 23, 2017 – Click here to view the online version. 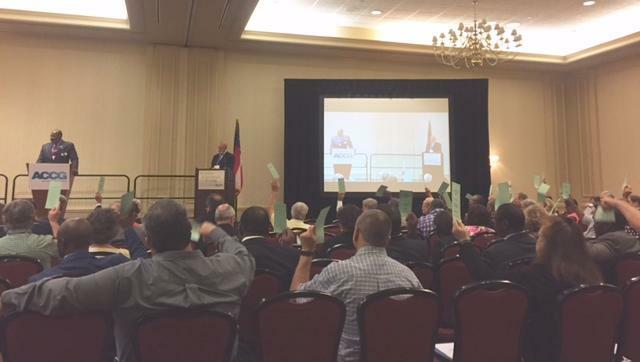 The ACCG membership voted to adopt the 2018 Legislative Priorities and Agenda during the Legislative Leadership Conference on October 11, 2017. ACCG encourages county officials to take some time to review the policy agenda/priorities and discuss them with their legislative delegation. At the 2017 Legislative Leadership Conference, ACCG unveiled its 2018 Gubernatorial Candidate Guide as a resource for county officials to use during the election process. This guide consists of background information on each candidate along with a series of questions on issues that ACCG believes to be of significance to counties. ACCG encourages county leaders to actively use this guide ,and it's questions, to make informed decisions on the 2018 gubernatorial candidates. Click here to access a digital candidate guide. ACCG Fall Regional Legislative Forums Take Place Next Week! Fall Regional Legislative Forums, previously known as Fall District Meetings, are quickly approaching with the first meeting scheduled for November 1! These meetings will allow county officials to engage in candid roundtable discussions with state legislators. ACCG has restructured these meetings to make them more regionally focused in order to accommodate more county officials and to narrow the conversation to what's taking place in their local areas. With the new format and schedule, county officials can attend more than one meeting as the locations are centralized. ACCG's 2018 legislative priorities (Broadband Access, Sales Tax Reform and Modernization of the 911 System) will be discussed, among other issues of importance. County officials are strongly encouraged to invite their legislators to these meetings. To register and for more information such as dates, times, and locations click here . For more information, contact Nicole Logan at nlogan@accg.org . The U.S. Environmental Protection Agency (EPA) Region 4 and the Georgia Brownfield Association are hosting the 2017 Southeast Brownfields Workshop on Nov.7-9, 2017, at the Georgia Tech Research Institute Conference Center in Atlanta. This timely event will educate attendees about revitalization in their communities. Click here for more information. 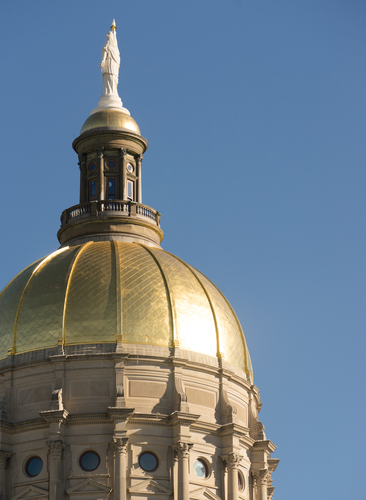 The Georgia Environmental Finance Agency (GEFA) is opening the project solicitation period for the 2018 Clean Water and Drinking Water State Revolving Funds (SRF). The SRFs provide low-interest financing for publicly-owned water and wastewater projects. Eligible projects will be considered for inclusion on the 2018 Clean Water or Drinking Water Intended Use Plan (IUP). For a project to receive potential financing, it has to appear on the appropriate IUP list. Please click here to review the appropriate project solicitation packet and collect the necessary information to complete the pre-application. Interested parties must complete the online pre-application no later than Friday, December 29, 2017, at 5:00 p.m.
Join the Georgia Archives for two free Lunch and Learn Programs in November . The lunch and learn events will focus on Reference and Processing Archivists and Emergency Preparedness and Disaster Planning for Personal Records. Access a detailed description of the events here . Note: Lunch and Learn Programs are free and open to the public. No registration is required. NACo has released a new feature for the County Explorer that allows members to compare or benchmark their counties with their peers, their state or the national average on almost 850 indicators. Click here to begin exploring. Are you interested in seeing what's going on at ACCG? Visit ACCG TV to view conference videos, interviews and more. Stay Tuned to see what ACCG.tv has in store! Register for a Fall Regional Legislative Forum Today!